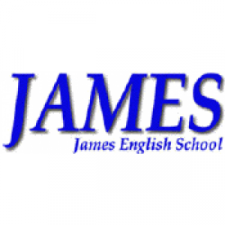 James English School is now accepting applications for a teaching position at the Osaki - Furukawa branch, starting in May, 2019. We offer classes in-house to students from 2 to 80 years old. Our teachers also travel to major worldwide companies to teach employees the English skills required for today's global economy. We offer a wide range of courses, from custom-made corporate syllabi, to test preparation for TOEIC, TOEFL, IELTS, EIKEN, etc. We support our teachers, providing training at the beginning of the first year and giving them professional autonomy to be creative with their lessons. We also provide guidance for living in Japan, offer assistance with arranging accomodations and free Japanese lessons for teachers who need them. James is large enough to have a significant presence in Northern Japan while at the same time being small enough to treat our teachers as individuals. We operate throughout the Tohoku Region, Niigata Prefecture and Tokyo. We have been in operation for over 40 years and have established an excellent reputation. Living and working in Tohoku will provide you with a lifetime of extraordinary memories. Some of your experiences may include visiting the hotsprings (onsens), participating in the local festivals, hiking or mountain biking in the summer, and skiing or snowboarding in the winter.